Alloy chain ring 80t. 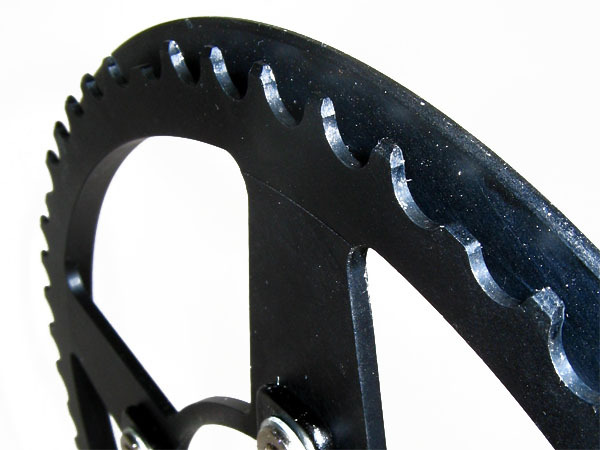 (hole diameter 130mm) with integrated, single sided chain guard. Please notice: Use with second chainring and derailleur may cause shifting problem. Foldable 20" Racing Tire "Pro ONE" (28-406/20x1,1). - Simply the fastest worldwide. The perfect choice for highest mileage purposes, speed, grip & puncture protection according to OneStar-Compound technology. Specifications: maximum pressure 115psi/8bar, 7oz/200 grams only.